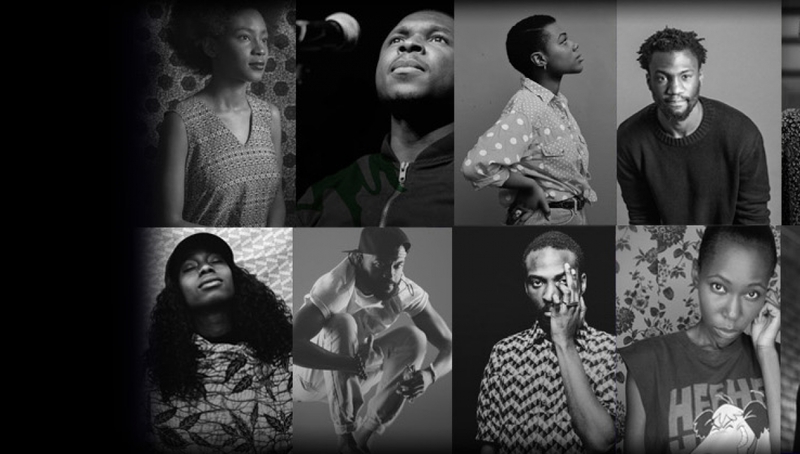 Inua Ellams brings together eight of the most vibrant, versatile and exciting Nigerian poets living and working in England as part of the Roundhouse’s celebration of Black History Month. Nigerians with their rich cultural heritage, have had a hugely significant influence on literary arts across the African continent. Chinua Achebe, Wole Soyinka, Ben Okri and Chimamanda Ngozi Adichie, at the forefront of African literature, have for decades, defined and redefined its scope and possibilities book by book, play by play, poem by poem. 2015 saw the inaugural Lagos International Poetry Festival (LIPF) in Nigeria (the only one of its kind in West Africa), where contemporary poetry is alive and thriving. As much as the written word, LIPF is a celebration of African oral traditions which is routed in contemporary poetry performance work, which extends beyond the country to Nigerian poets in the diaspora. A week before 2016’s Lagos International Poetry Festival, ‘The Young Nigerians’ will bring this rousing celebration of African poetry to London. Featuring performances from Michelle Tiwo, Indigo Williams, Theresa Lola, Tania Nwachukwu, Yomi Sode, Jolade Olusanya, Joshua Idehen and Inua Ellams, with music from Dinachi Onuzo, Sincerely Wilson and Dj Sid Mercutio. Curated by Inua Ellams and hosted by writer and poet Bridget Minamore, who is a Ghanaian. Age restrictions: under 16s must be accompanied by an adult, may contain adult content.